​Golden West Moving, Inc. is a fully licensed and insured moving and storage company. 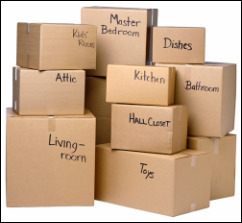 We specialize in local and long distance relocation services, packing, and storage solutions. There are many movers but there's a reason why people choose Golden West Moving, Inc. Our goal is to make every customer a life-long customer. Our skilled professionals are reliable, trustworthy, courteous, and able to ensure the safe delivery of your possessions to their new destination. Golden West Moving, Inc. is fully licensed and insured. We carry cargo, commercial liability, general liability and workers' compensation. Certificates of insurance are available upon request. Golden West Moving, Inc. is licensed by the California Department of Public Utilities and Transportation Oversight Division.